The most common way people sell their homes is through a real estate agent who utilizes a multiple listing service, but that doesn’t mean that route is always the best way to sell your home. Certain instances occur throughout life that are unplanned and unexpected, and sometimes that means you have to sell your home swiftly. You don’t always have time to navigate the lengthy home-selling process, which is when finding a trusted cash-for-home buyer is especially helpful. At Cash 4 Kansas Homes, we’re in the business of home and property investment because we understand that sometimes, you want to sell a house for cash in Kansas City as quickly as possible. Are you interested in selling your home for fast and easy cash? Reach out to our team today! 1. Decide if you need to sell your home quickly. You’re trying to avoid foreclosure. You’ve inherited a home you don’t want. You’ve inherited a home in terrible condition. Your home has significant financial burdens from unexpected damages. You don’t want to worry about investing money into your home. You don’t want to fix or clean up your home. You want straight-up cash for your home. If you’re unsure if you’re in a scenario that requires you to sell your home quickly, call our team at Cash 4 Kansas Homes. We are more than happy to help, and if we think we can help you in your situation, we will do our best to find you the best offer for your home! 2. Accept you won’t get the entire retail value. Most times, if you want to sell a house fast for cash, you sacrifice money for time. Granted, you wouldn’t get the entire profit for your home if you went through a traditional real estate agent either, due to their typical commissions and fees. But you have to be OK with accepting that an investor who buys a house fast for cash isn’t going to pay full retail value. They need to keep some cushion so they can put money back into the home — so you don’t have to! 3. Choose the right “off-market” home investor. There are several ways you can find an “off-market” home investor who will want to purchase your home quickly for cash. You might see some signs on poles and yards throughout the Kansas City community, or notice advertisements on social media and the internet. You can also search for local real estate investor clubs or ask your friends and family if they know of anyone they trust. But be careful! Not every home investor cares for their clients, and you want to choose a legitimate investor with an honorable business model. 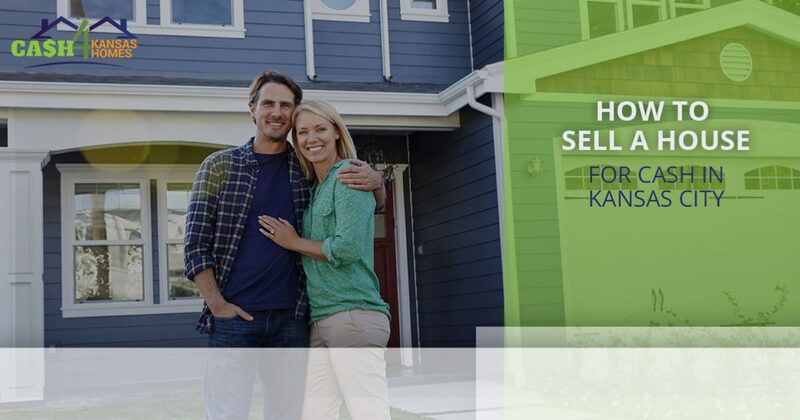 At Cash 4 Kansas homes, our cash-for-home buyers always keep your best interest in mind and want to give you the most bang for your buck. Our investors at Cash 4 Kansas Homes often conclude the buying and closing process for your home in less than a month, which in the long run can be worth avoiding the traditional route of home-selling. We also see the beauty in any home, so you don’t have to worry if your home is aesthetically appealing or not. We don’t make an offer if we’re not serious about buying your home. If you’re in the Kansas City area and need to sell your home quickly, let our team of experienced experts at Cash 4 Kansas Homes help make the process as efficient and easy as possible. Our cash-for-home buyers have more than 50 years of combined experience under their belts, and we’re proud to help homeowners sell their homes with no hassles or obligations attached.